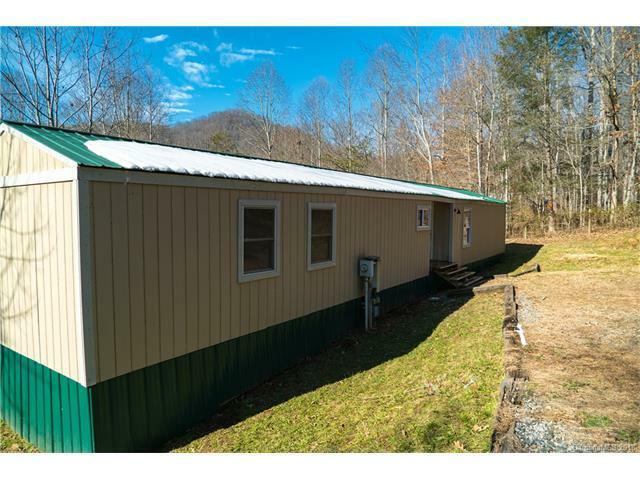 Come enjoy the peaceful country side in West Asheville. This private wooded lot is located just 15 minutes from Patton Ave on a dead end private road. The driveway is large and there is plenty of room for multiple vehicles. This property has been recently updated with new laminate flooring, new drywall, re-finished bathroom and kitchen, new metal roof and new hot water heater.